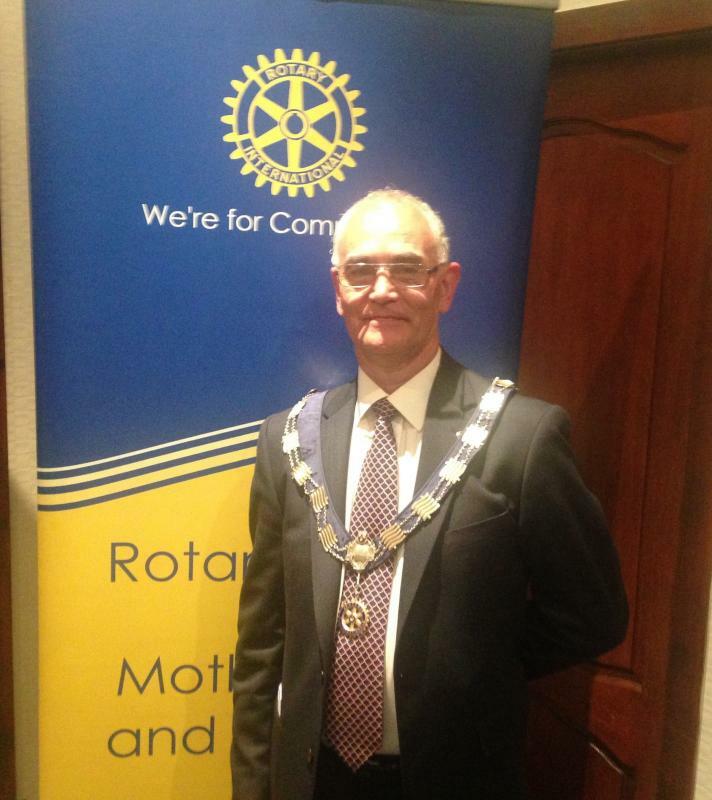 Our speaker, tonight, at the Rotary Club of Motherwell and Wishaw, was James Gibbons who gave his presidential address to the Club members. Many years ago, James and his wife had been members of Bellshill Rotaract Club, so he has been connected with Rotary for some time. He joined the Rotary Club of Motherwell and Wishaw in 2009 and felt very privileged to be addressing the club as its 86th president. The theme for James’ address was being able to adapt whenever the occasion demanded and to positively embrace change. He mentioned many of the successes of Rotary, both locally and worldwide, and cited the fact that 172 million children were immunised against polio in one day in India. He ended by saying that if we all followed the Rotary Four Way Test - Is it the truth? Is it fair to all concerned? Will it build goodwill and better friendships? Will it be beneficial to all concerned? Then we, as a club, would go from strength to strength.